The SDS Tool provides the user with a graphical interface to investigate delay spread in overlapping sites in a simulcast network. It is based on calculating the distance between sites and determining if the heights of the sites are affected by the curvature of the earth. It does not consider if there is an RF path, it is designed to identify the initial number of possible sites that need RF propagation analysis. 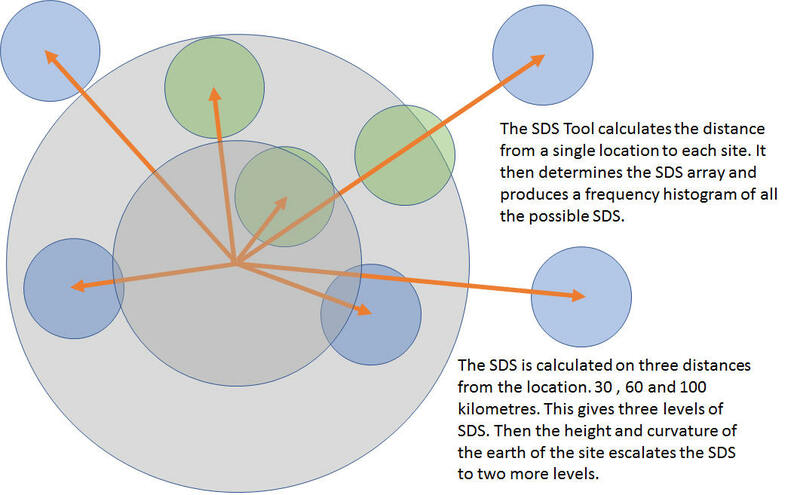 It should be used in conjunction with RF path analysis tools to give the final sites which have the greatest potential SDS factor.